If you own a luxury home, you want it to look great inside and out. Exterior fountains really make a statement on the outside of your home. Fountains on the interior of your home have the same effect. A stone fountain is truly a luxury decoration. Many people do not expect to see an interior fountain when they walk in your home. They look for fountains outside in your garden or in your front yard. 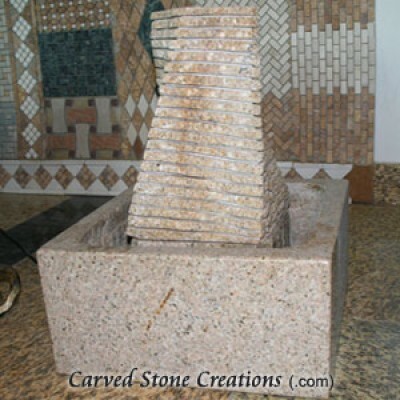 When you have visitors over and they come in your home, a stone fountain will be a wonderful surprise. Below are some of our favorite fountains for the interior of your home. 1. If you have an interior pool this fountain is the perfect final touch. 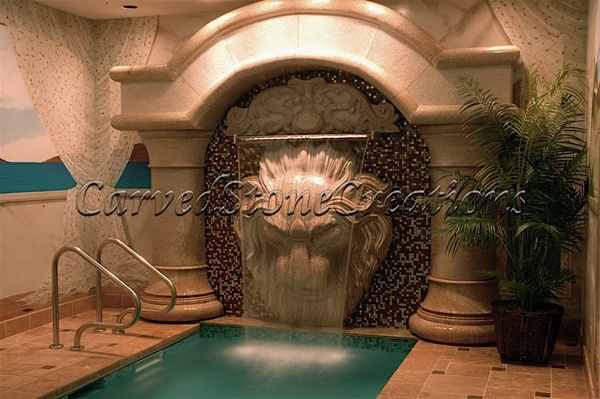 This classic lion head spitter wall fountain empties into the end of a lap pool in this specific home and makes a stunning statement. 2. This interior wall fountain is carved from Beige Venato Marble and is fills the space perfectly. 3. If you are short on space or are looking for something smaller, a desk fountain is perfect for you. The soft sound of flowing water is naturally relaxing and perfect for an office or living room. 4. These floating sphere fountains are truly mesmerizing. In this specific fountain, the black spheres really stand out because of the contrast with the lighter stone columns. This fountain is perfect for a relaxing atmosphere. 5. An interior fountain doesnt need to sit up against a wall. If space allows in your home, a fountain with a larger basin is stunning. 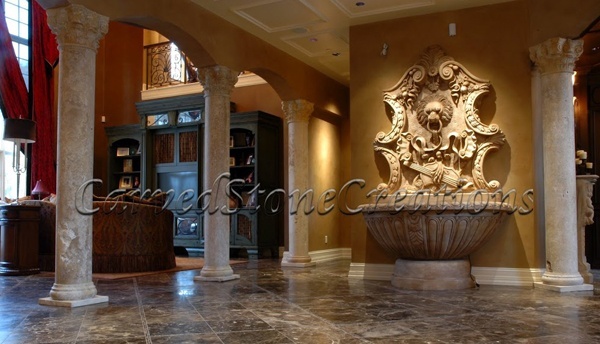 Consider adding a stone fountain to the interior of your home. For more information on stone fountains, contact us. In need of more fountain inspiration? Check out our ideas gallery.